The cheapest way to grow palm trees is from palm tree seed. A variety of species have seed readily available, some are easy to germinate and grow on, others are more difficult. It is important to not that viability of palm tree seeds will vary greatly between species. Some need to be very fresh, others hold viability for longer once harvested. Seeds need to properly stored and packed for posting. Look for experienced seed collectors for the best results. Palm Tree seeds are a way of growing many plants as cheaply as possible. As most palm trees are not hybrids they come true from seeds. Many sellers recommend using a smoke germinator to improve germination rates. Consult with the seller before purchasing. Available for sale from specialist Palm tree seed collectors it is important to ensure that seeds are fresh and have been properly cleaned. 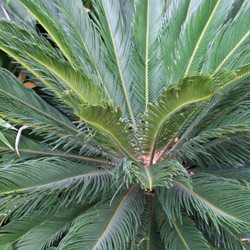 A wide range of palm tree seeds including Kentia and Bangalow Palms can be ordered online. Seed germination techniques for palm trees include simple seed beds and bag techniques.